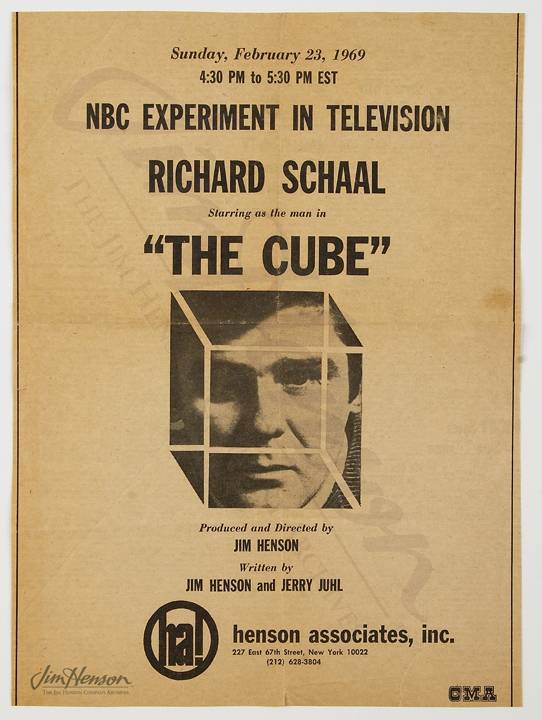 The Cube, Jim’s program produced as part of NBC’s Experiment in Television series was written by Jim and Jerry Juhl back in 1966. While opposite from the visual style of Jim’s manic short Time Piece, The Cube explored similar themes related to free will and how the mind interprets the surrounding world. There was little interest in the script at first, and Jim and Jerry tried their hand at another script the following year, Tale of Sand, which married the visuals of Time Piece with the ideas of The Cube. Tale of Sand, like The Cube, had a protagonist who inexplicably finds himself in an unexpected setting, confronted by seemingly incongruous situations and characters and is unable to control his own destiny. Unlike The Cube, which was eventually shot in a blank white room, Tale of Sand was to move quickly between locations, have riotous colors and extravagant sound accompaniment. Jim and Jerry pursued television opportunities for the first script and sought to sell the second as a feature film. They got The Cube produced in 1969, but even with revisions, Tale of Sand never got past the screenplay stage…until now. In January 2012, the Henson Company’s comic book partner, Archaia Entertainment, published a graphic novel version of Jim and Jerry’s script, Tale of Sand, with art by Ramón Pérez. Given the lush descriptions of what is an incredibly visual story, the graphic novel format is an ideal way to bring this forgotten effort to light. More than forty years later, fans have another way to experience Jim and Jerry’s creative thinking during this experimental period in their careers. Learn more about The Cube here and here. Learn more about the Tale of Sand graphic novel. See some clips from The Cube here and here. 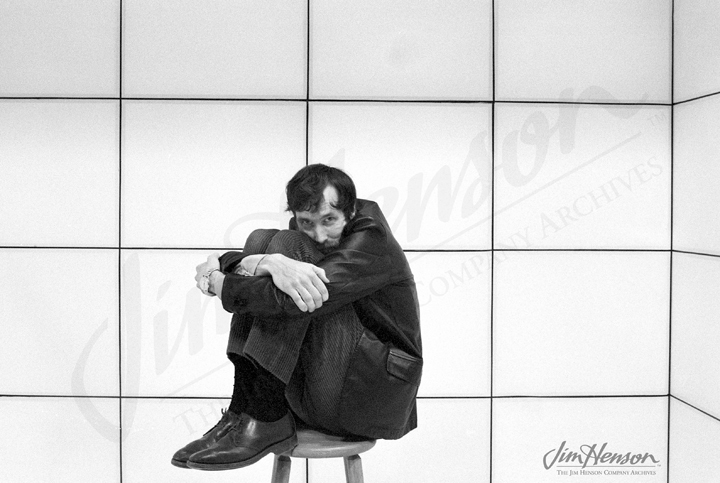 Jim in a promotional photo on the set of The Cube, 1969. 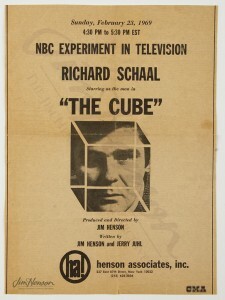 Newspaper advertisement for The Cube, 1969. This entry was posted in 02-February '71, 1971, Cube and tagged Archaia Entertainment, Jerry Juhl, Ramón Pérez, Tale of Sand, The Cube, Time Piece. Bookmark the permalink.